In 1990 the album Red Hot & Blue raised money for Aids research. The album contained Cole Porter songs covered by pop artists. Miss Otis regrets was a single from the album, featuring a version by Kirsty MacColl and The Pogues. This single was another release from the album: 'Well did you evah', covered by Deborah Harry and Iggy Pop. I didn't really like this song a lot at the time, so I never bought the single, but during a recent online shopping spree I found this single and didn't mind picking it up. Personally I still prefer the B-side: 'Who wants to be a millionaire' by the Thompson Twins. Black, also known as Colin Vearncombe, recorded a cover version of 'Shades' in 1991 as the B-side of his single 'Here it comes again'. I loved the track, loved the melody and the sheer power of the song. 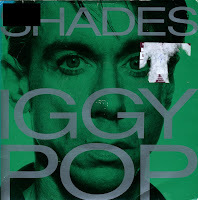 When I found out it was a cover of an Iggy Pop song, I started getting curious about the original version as well. So when I stumbled across this single, I couldn't resist buying it. The original version is a bit rawer, less polished than the Black version. 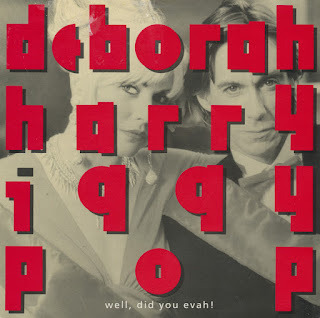 The song, written by Iggy Pop and David Bowie, was not a hit. It was taken from Iggy's 1986 album 'Blah blah blah'. In 1994, one of pop's most underrated artists included a cover of one of rock's most overrated artists in her live set. Kim Wilde went on a Hits Tour, performing most of her own biggest hits, but she also played Iggy Pop's 'Real wild child'. 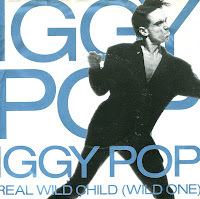 Personally I never understood what the big deal was about Iggy Pop: formerly with The Stooges, a punkrock band, he continued to make the same kind of songs throughout his career. Compare 'Lust for life' (1977) with this track (1987) and you will hardly notice any difference. Still, as part of my Kim Wilde collection I also had to have this original song, and so I bought this single in 1995 after some months of searching.